Scientific integrity has been a focus of the 2018 conversation around the intersection of science and policy. While research integrity has historically focused on the ethics of research design, scientific integrity in the Canadian context also aims to protect accountability after the research has been done. The Office of the Science Advisor defines scientific integrity as “the condition resulting from adherence to concepts of transparency, openness, high quality work, avoidance of conflict of interest and ensuring high standards of impartiality and research ethics”. 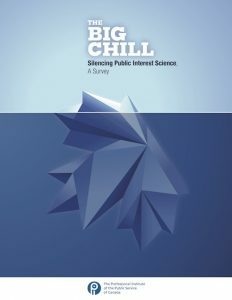 During the last decade, this became particularly important for scientists working in government agencies who had to balance scientific impartiality and the government’s policies. These lines began to blur during the Conservative government (2006–2015), when several high-profile scientists (such as Kristi Miller from Fisheries and Oceans Canada) spoke out about government “muzzling”. 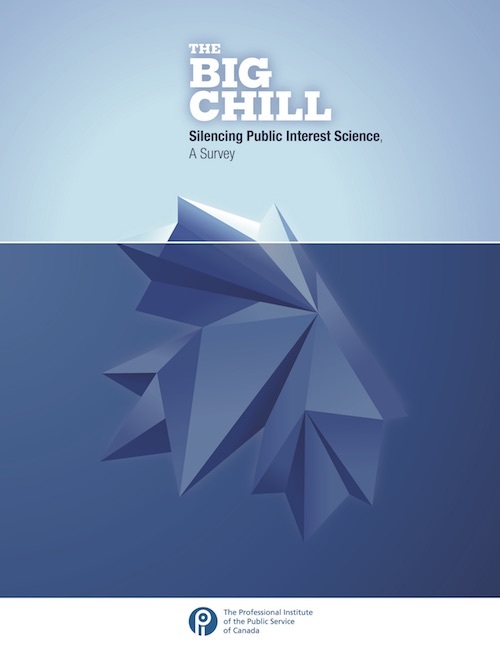 The Professional Institute of the Public Service of Canada (PIPSC), the Canadian union that represents 60,000 government scientists and professionals including Miller, released survey data in its 2013 report, The Big Chill, showing that “90% of federal scientists could not speak freely [about their work]” and “74% felt sharing of science findings [was] too restrictive”. 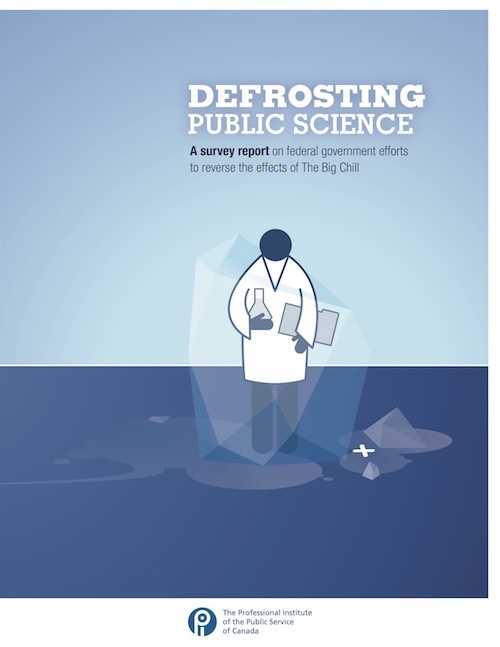 The Big Chill, a report by the PIPSC, detailed the sentiments surrounding transparency by federal scientists. The claims prompted the Office of the Information Commissioner of Canada to launch an investigation. Unfortunately, the report was not published until five years later, but it validated many of the circulating suspicions. The agencies named in the investigation included the Canadian Food Inspection Agency, the Department of National Defence, Environment and Climate Change Canada, Fisheries and Oceans Canada, Natural Resources Canada and the National Research Council of Canada. For all but the Department of National Defence, the agencies were found to have communications and media relations policies that were in line with the Access to Information Act. The problem was that these policies were not being applied, producing an outcome “consistent with the ‘chill’ documented in the [PIPSC] survey”. In 2015, the Liberal campaign directly addressed these concerns with a promise to “ensure that government science is fully available to the public, that scientists are able to speak freely about their work, and that scientific analyses are considered when the government makes decisions”. After the Liberals were elected and Dr. Mona Nemer was appointed Chief Science Advisor in 2017, new agreements with the PIPSC were struck to put these promises into writing. On July 30, 2018, Dr. Nemer’s office released a model scientific integrity policy to be adopted by federal agencies. Key parts of the policy include Section 4 (detailing the objectives to promote scientific integrity in all aspects of research), Section 6 (a breakdown of what scientific integrity means) and Section 7 (the requirements needed to ensure “openness, transparency and timeliness”). 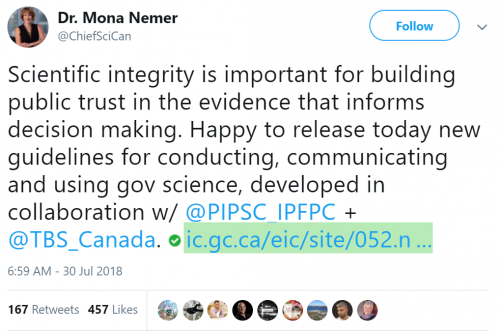 A tweet from Dr. Mona Nemer, Canada’s Chief Science Advisor, on the release of the model scientific integrity policy. The deadline to implement a version of the model policy is December 31, 2018. Here is a summary of how the five agencies identified in the Information Commissioner’s report are implementing scientific integrity for themselves. Canadian Food Inspection Agency: The agency has drafted a proposed open and transparent agency policy that is geared more towards the release of records and decision-making, but does not outline the ability of scientists that work for the agency to speak about their work. Environment and Climate Change Canada: Their science strategy for 2014–2019 was published before the model policy was released. It states that it would “develop a Science Integrity Policy to support our scientists in maintaining high standards of excellence”. Such a policy has yet to be released publicly. Fisheries and Oceans Canada: It updated its policy for science publications in March of this year, but it has yet to publicly release a scientific integrity policy. Natural Resources Canada: A 2018–2019 departmental plan includes a commitment “to protect the ability of NRCan scientists to publicly share their results, and in support of the mandate of Canada’s Chief Science Advisor, NRCan will develop a Science Integrity Policy”. Again, such a policy has yet to be released publicly. National Research Council of Canada: There are no publicly available documents on a scientific integrity policy, nor a strategy or commitment to implement one. While none of these agencies have developed and adopted a concrete plan that documents their commitment to scientific integrity, there are indications that there’s already been a shift in the culture. 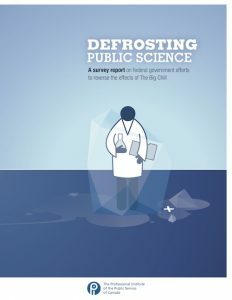 Reports by the PIPSC in early 2017 show that 53 per cent of federal scientists now say that they still cannot speak freely about their work, down from 90 per cent in 2013, and 47 per cent feel that the sharing of science findings with the public has become less restricted since October 2015. With continued improvements such as these, the only “chill” Canadians should feel is the one brought on by winter. Policy and Politics, Science in Society Chief Science Advisor, federal science policy, Mona Never, Nahomi Amberber, Office of the Information Commissioner of Canad, policy, science policy, scientific integrity. permalink.